After last week’s Mystery Shop I was cross but this week I’m just disappointed. It’s hard when you visit a store, which used to be the only place you’d ever dream about buying a particular item but instead of lovely new purchases, you come away empty handed. 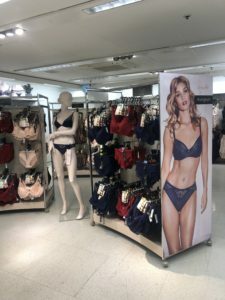 Read on to find out what I thought about underwear shopping at Marks and Spencer, Cheltenham. Staff in the coffee shop were very nice and helpful especially the trainee at the till who had to deal with one particularly rude customer (not me I hasten to add) but was very professional in the way he dealt with the situation. He had inadvertently given a lady the wrong change, a simple oversight considering he was clearly a trainee as per his badge and was trying to get used to the till. Her reaction was very sharp but he just calmly apologized and corrected the error. This is excellent customer service because if a customer is upset then the worst thing you can do is take it personally. The assistant manning the changing room was also friendly enough albeit busy in her work. I can’t comment about anyone else, as very few staff were visible in the store. Staff in the coffee shop were as efficient as they could be considering the tiny space they had to work in and the length of the queue. The trainee was asked to complete a task he had not undertaken before when the lady in front of me asked if she could pay for her purchases from other departments at the till along with her coffee. I didn’t even know you could do this so there’s a top tip for you. If the queue is too big in the store, take a break, pop along to the coffee shop and pay for your items there instead. Considering it was a new task, the transaction was executed efficiently after the new assistant first asked a colleague for clarification. This is also a sign of excellent customer service as if you don’t know the answer to the question yourself, go and find out the answer from someone else. The queues at the checkouts were ridiculously long for a weekday and I slowly ended up losing the will to live and giving up. As I was there to do a Mystery Shop I thought I would check out the café instead where there was still a big queue but it didn’t take too long to get to the front of it. I’d originally gone into the store for some new underwear, as once upon a time it would have been THE place to make this type of purchase. However on this occasion, I found myself distinctly underwhelmed, gave up looking for underwear and picked up a couple of pairs of my favourite stay ups instead. Unfortunately I ended up shelving these too as the queue was just too long. I found the bra I chose to try on quite ill fitting so I would have appreciated the chance to ask for a measurement service but there just wasn’t anyone to ask. 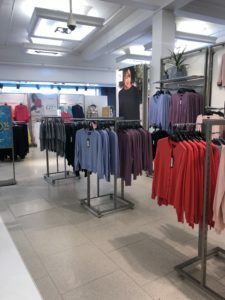 I did try one silky negligee outfit, which fitted beautifully, but I felt it was overpriced for what it was, silk or not, so decided against purchasing it. On a plus note, I had a lovely cup of tea in the cafe and it was very reasonably priced! 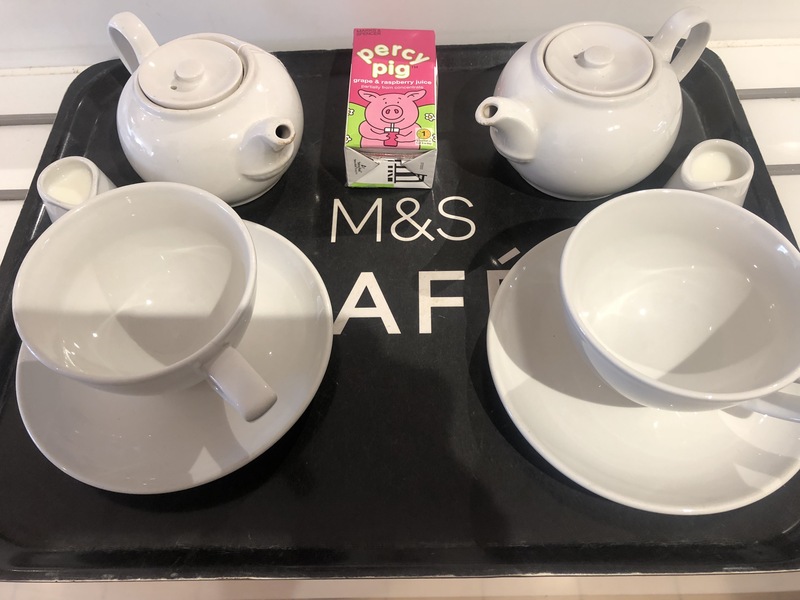 The percy pig drink also went down well with my little mystery shop friend. I did a lot of wandering around trying to find things, a lot of trying on of underwear, a lot of looking around trying to spot an assistant who could help me and a lot of standing in queues so it wasn’t the most successful of visits. I’ll keep buying my stay ups as they are always good quality, the best I’ve found and I can also order online and collect in store instead. However, as for underwear, I think I’ll just find somewhere new to buy it from or even try the online click and collect for this too so I can at least cut out the wandering aimlessly around the store out of my next shop. 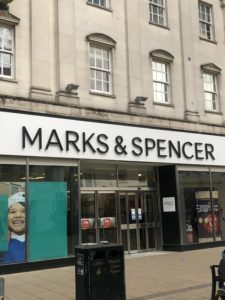 There’s a lot of focus on the High Street at the moment and in all honesty, I worry that M & S won’t survive the long term if it does not improve on the customer service experience. This was just a distinctly average visit and if it’s the norm then customers may well end up “spending it well” elsewhere. Find out soon! Cin cin! 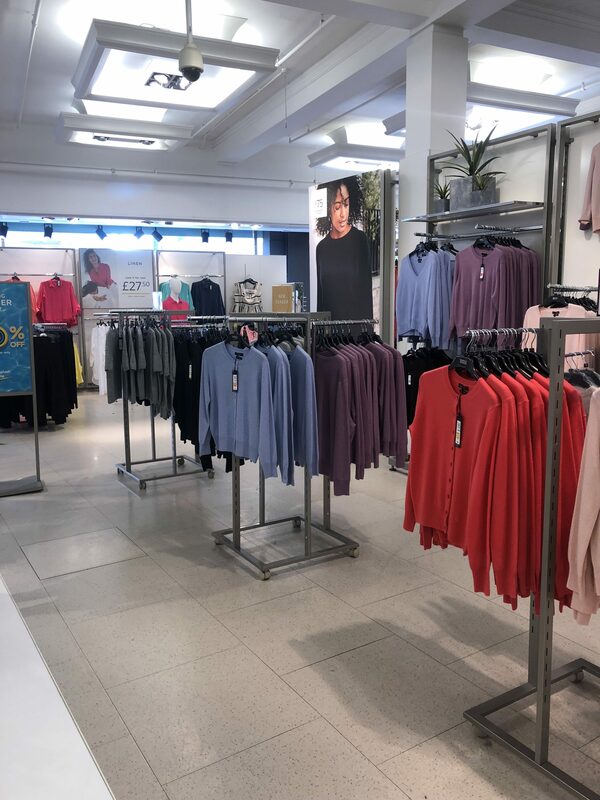 I don’t often visit M&S and when I do it’s mostly the big store in Cribs Causeway. That can be a little confusing too with no real fluidity of the store, unlike John Lewis which seems to make sense. 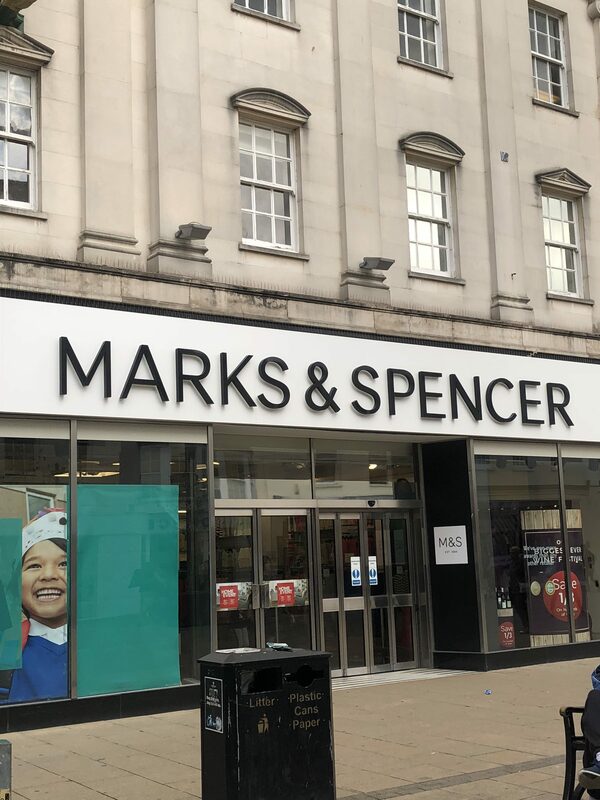 M&S is a real icon of the high street so I hope they can sustain that, particularly as they seem to be really trying in the fashion stakes lately in an effort to be a bit more hip. Agreed although am not quite convinced that they are doing that well in the fashion stakes despite the effort. It wouldn’t be my first place of choice which is a shame. You’re right regarding no real fluidity of the store, I was all over the place looking for things which was very frustrating!